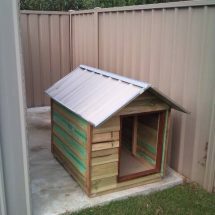 SteelChief offers a great range of quality dog kennels made from high quality, thick steel. There are four sizes to choose from to suit dogs of all shapes and sizes, although we can make something to suit your exact requirements. You can choose from two roof styles, either a gable pitched roof or a flat roof. 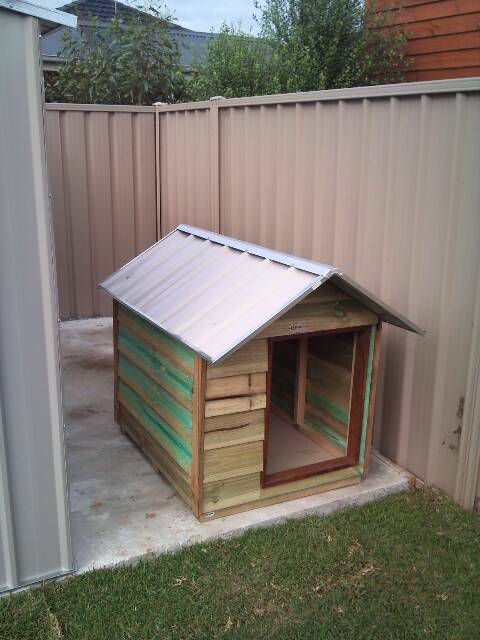 The flat roof comes with a hinged roof that allows easy access inside the kennel for cleaning purposes. 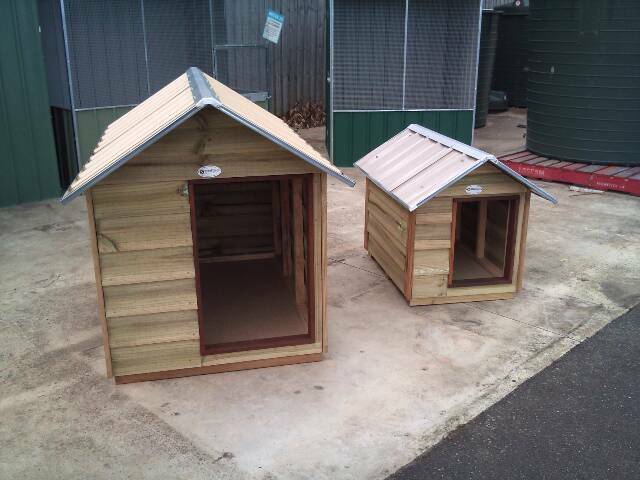 Like all of our products the kennel comes in a number of panels and can be easily put together. Alternatively if you would already like it assembled then we arrange this for you too. 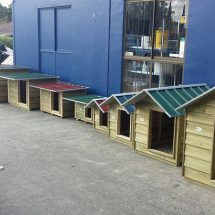 There is a small, medium, large and extra-large dog kennel to choose from. If you are wanting something outside of these sizes please contact us. 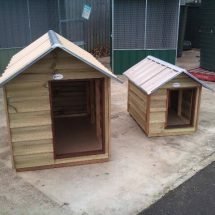 We want to make your dog kennel, your way. So while there are a range of standard sizes we can also look at customising it to suit your requirements. This may include larger roof overhangs for added protection from the elements, a corrugated roof or multi-coloured finish. If there are any other features that you wish to add then please let us know. 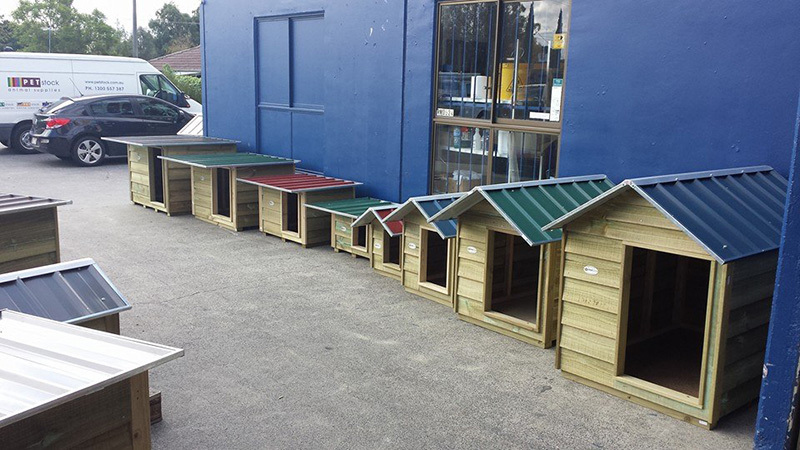 All of our dog kennels come in pre-made walls and roofs and you only need to screw together the separate panels using a cordless drill and your kennel will be assembled in no time! There are a great range of videos and notes to help guide you through the installation process. Alternatively, if you require installation to be done for you then contact us and we can help arrange it. 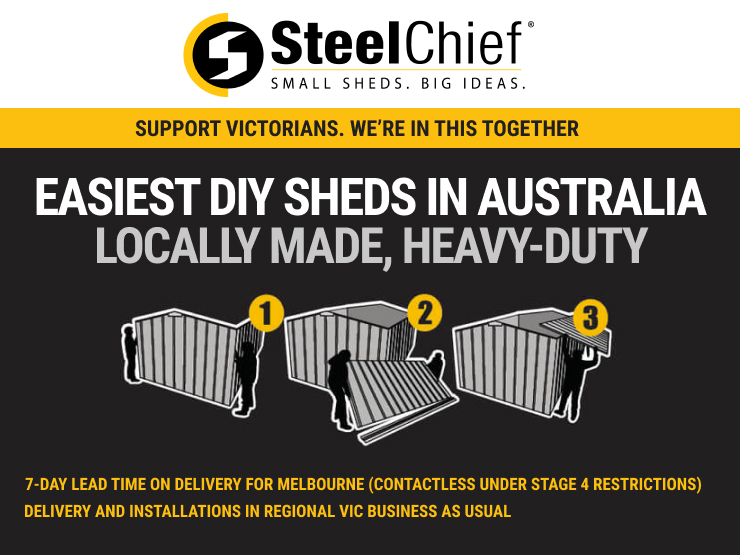 We provide delivery and installation services throughout Ballarat, Melbourne, Sydney, Adelaide, Geelong and Bendigo. If you are outside of these areas then contact either your local distributor or us for assistance.